Super opportunity! Completely remodeled 3 bedroom or 2 bedroom & open den suite, as it is currently used. You'll love the huge gourmet kitchen with newer dark wood cabinets, slow close drawers & fresh white appliances. 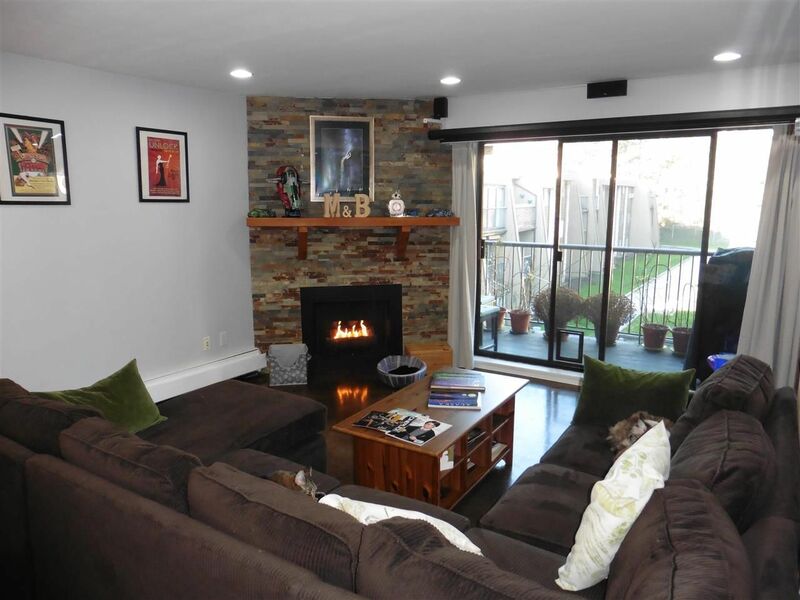 Spacious living room with a cozy gas fireplace & custom mantle. Tastefully updated bathrooms. Good sized bedrooms. In-suite laundry! Updated lighting. Polished concrete, laminate & tile floors throughout for a pleasing effect & easy care. Open den/office can become your third bedroom by adding one wall. Very pro-active strata with re-piping, boilers, roof, parking & amenities membrane replacement have all been done. Quiet location facing the inner courtyard! Only a short walk to Lougheed Mall and skytrain. B.C. Assessed Value $561,300. Great value!